Interested in making wine, but worried about it being a big investment? 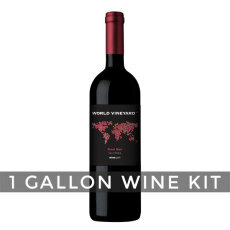 Well then our Vintner's Best One Gallon Wine package is perfect for you. 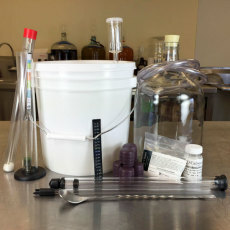 The package has two components which are sold separately: all the equipment you need to ferment the wine and the ingredient kit (juice) to ferment. There are several wines to choose from, including both reds and whites. Start a new fermentation frenzy on the cheap, with no heavy lifting, and end up with 5 bottles of great wine in the process! NOTE: If you are already doing 1 gallon batches of beer, cider, or mead, then you probably already have all the equipment, and all you need is the ingredient kit. All the classic associations with this well-known grape variety, from Californian vineyards. Rich, intense aromas, deep berry fruits, healthy tannins, and a smooth, lingering finish.